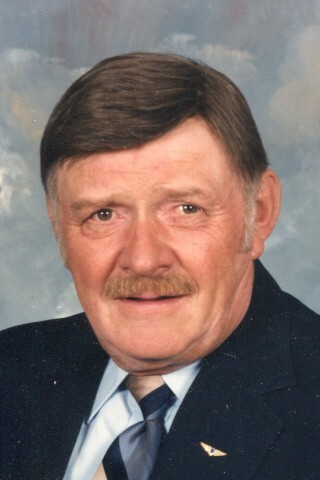 Normand Donald Gagne, 84, died peacefully March 22nd from health complications. He was born in Highgate on July 27, 1932, the son of Lucien and Dolores (Betournay) Gagne. He attended and graduated from St. Anne's Academy in Swanton, class of 1951. He worked alongside his father on the farm until he purchased it in 1958 and continued to farm with his wife, Georgette, and son, Mark, until 2001. He is survived by his wife, Georgette (Larose) Gagne, of 62 years and their six children: Mark (wife, Jean) Gagne; Daniel Gagne (and friend, Sue); Anne (husband, Leon) Berthiaume; Julie Gagne (and friend, Michael); Cecile (husband, Mark) Vosburg; Claudette (husband, Rick) Peck; twelve grandchildren: Eddie Gagne (and friend, Samantha); Mary Gagne (and friend, Marcus); Carly and Katie Gagne; Nicholas Gagne; Jessica (husband, Jason) Brill; Alyssa (husband, Aaron) Ciullo; Jameson (wife, Shauyne) Berthiaume; Sara and Emily Vosburg; Evan and Jordan Peck; three great grandchildren: Owen and Ethan Brill and Kilian Ciullo; and also by many nieces and nephews. He was pre-deceased by Roger and Adrienne Gagne, Rosaire and Henriette Gagne, and Olivette and Alcide LaBrie. Normand’s greatest passions were flying his own plane and attending many fly-ins. He was proud to wave his wings over the farm. He was credited with starting the Highgate hockey youth program in the 1960s and was also known as the ‘Father of Missisquoi Hockey,’ having coached the T-Birds from 1971-73 and ‘79-82 and later coached the Highgate North Stars. For many years, Normand and Georgette hosted Franco-American soirees with family, neighbors, and friends which Normand loved. Normand was a die-hard New York Yankees and Boston Bruins fan. He also enjoyed deer hunting with his sons, fishing with his cousins, watching Mary, Carly, and Katie play high school softball, traveling to historical landmarks, and trips twice to Alaska. The family would like to thank the staff at Northwest Medical Center and the Pillsbury Homestead for their excellent care, patience, support and the Hospice Program through the Franklin County Home Health Agency who saw to his comfort in his final days. The Liturgy of Christian burial will be celebrated Monday, March 27, 2017, at 11:00 a.m. from St. Louis Roman Catholic Church, 186 Lamkin Street in Highgate Center. Father Luke P. Austin will be celebrant and homilist. The Rite of Committal and Interment will follow at the family lot in St. Louis Cemetery. Friends may call at The Kidder Memorial Home on Sunday from 4 to 7 p.m. In lieu of flowers, donations may be made to the Franklin County Home Health Agency, 3 Home Health Circle, St. Albans 05478 or MAHA, PO Box 77, Highgate Center 05459 or the charity of one’s choice.